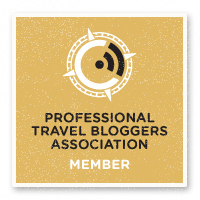 With October comes what travel planners call the shoulder season, a concept that applies equally to food-oriented festivals. 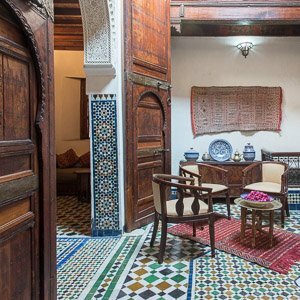 Soon we’ll have the late-autumn fairs, then the Christmas markets, both with an emphasis on warming winter foods and holiday sweets. Over the past weekend, though, sandwiched between the harvest celebrations across Switzerland, Basel’s first ever street food festival pulled in the crowds and won our hearts. 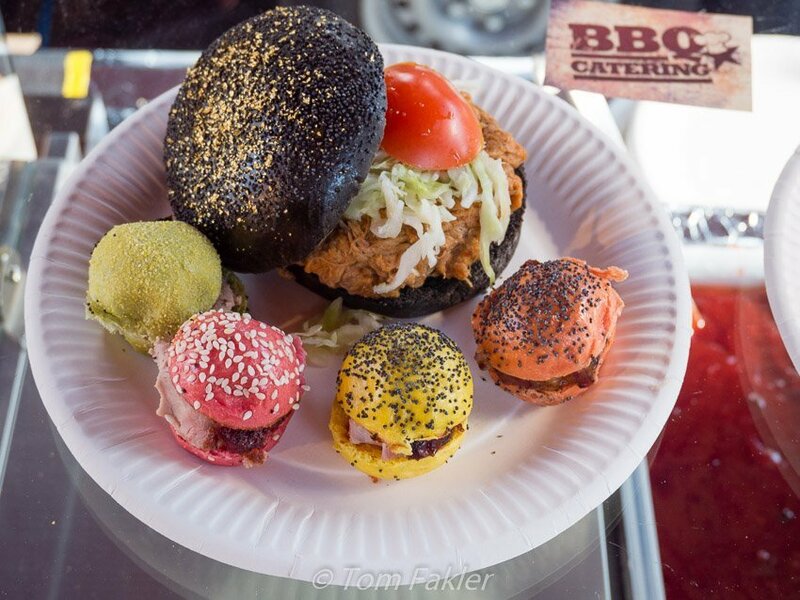 A star attraction at Street Food Festival Basel 2015 was a pulled-pork sandwich on a bamboo bun flecked with gold, but there were many other flavors to enjoy. In pricey Switzerland, even street food can seem expensive. Happily for foodies, the vendors at Street Food Festival Basel offered tasting portions, or priced their full-size offering competitively. Thanks to tasting portions, Tom and I were able to sample a number of the offerings from 63 vendors and 35 countries. Even so, there was more food than we could possibly get our taste buds around. And we were not alone. The festival was blessed with beautiful, almost balmy weather–and a bountiful turnout. If the throngs crowding the food stalls were an indication, Basel’s first street food festival was a rousing success! 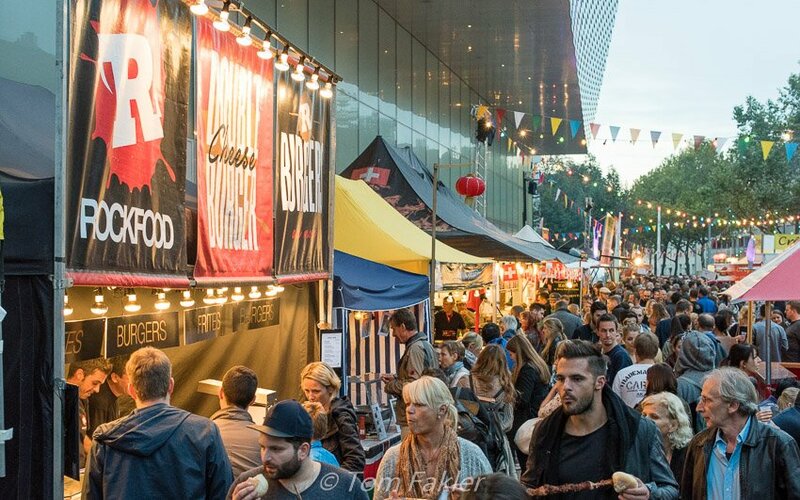 If you were at Street Food Festival Basel’s first edition, you probably have a favorite food memory or two. If not, here’s an indication of what you missed! 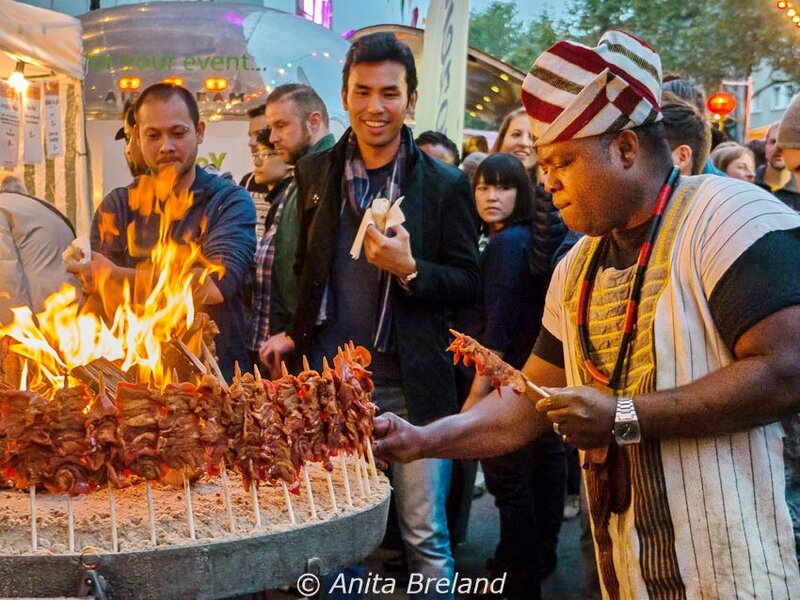 Meat skewers roasting over coals were just one of the more exotic offerings from Africa. Others included fricassees from Tunisia, curries from Kenya and Yemeni-inspired sweet or savory vegan wraps. 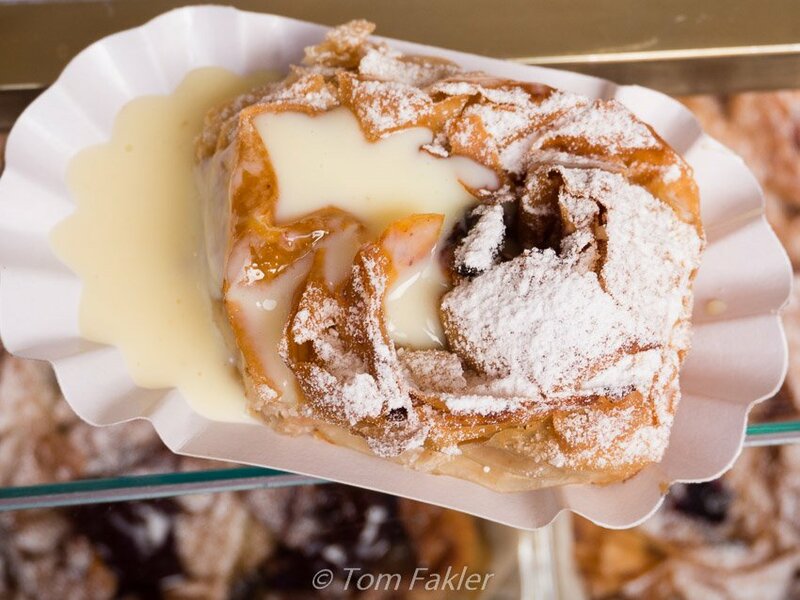 Festival-goers had many options to calorie-bomb with pastries from eastern Europe. Apple-cinnamon strudel drizzled with vanilla sauce offered a flaky bite and creamy finish. The festival also provided attendees with an extensive array of favorite street foods from India, Pakistan and Southeast Asia, all doing brisk business. Kumar’s Indian Food is on tap at many festivals, and in addition to curries, offered an array of fresh fruits and juices. 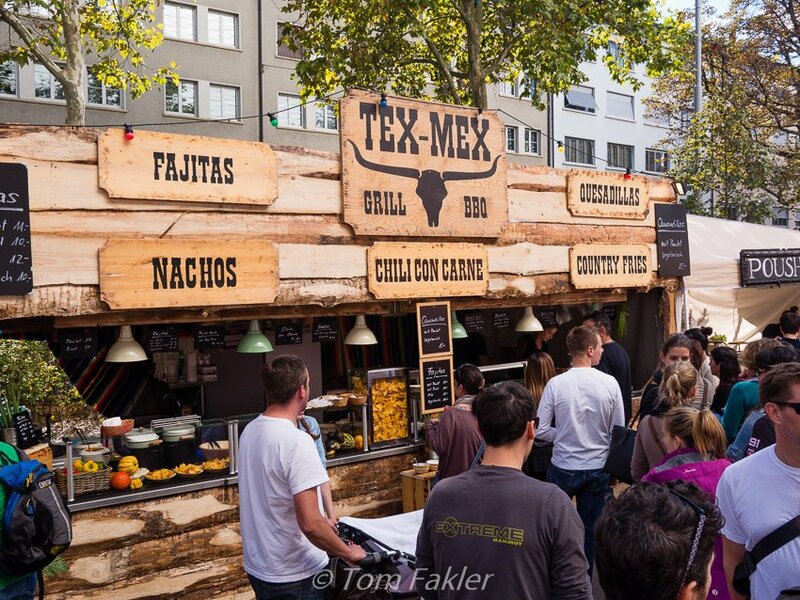 Tex-Mex in Switzerland! Quesadillas, burritos and fajitas at several stands hit a number of this Texan’s nostalgia buttons. Okonamiyaki is a specialty of Osaka, Japan. 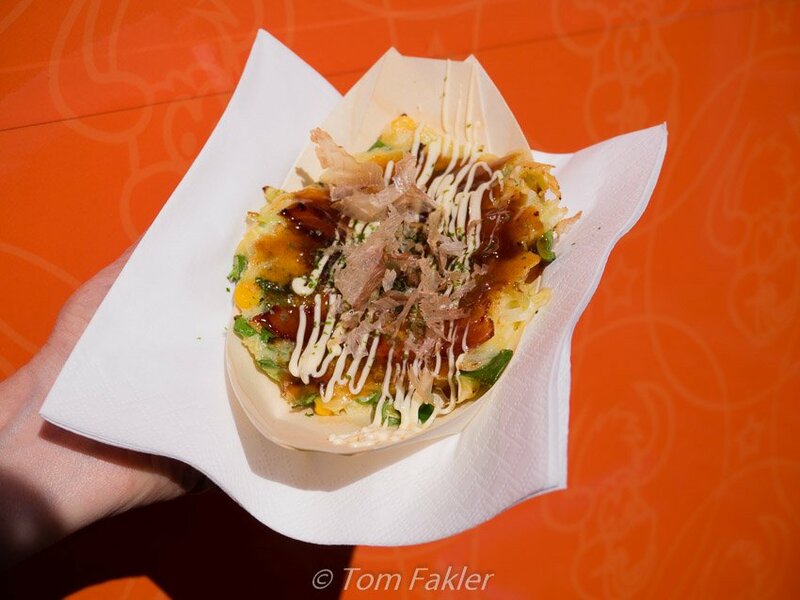 We would love to see this savory pancake from Okonomiyaro among the international food stands at the Markthalle! The festival was not all about meat, nor frites. 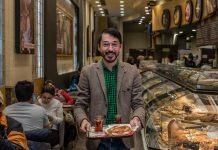 There were plenty of vegetarian–even vegan–options, such as Yemeni-inspired, handmade wraps. 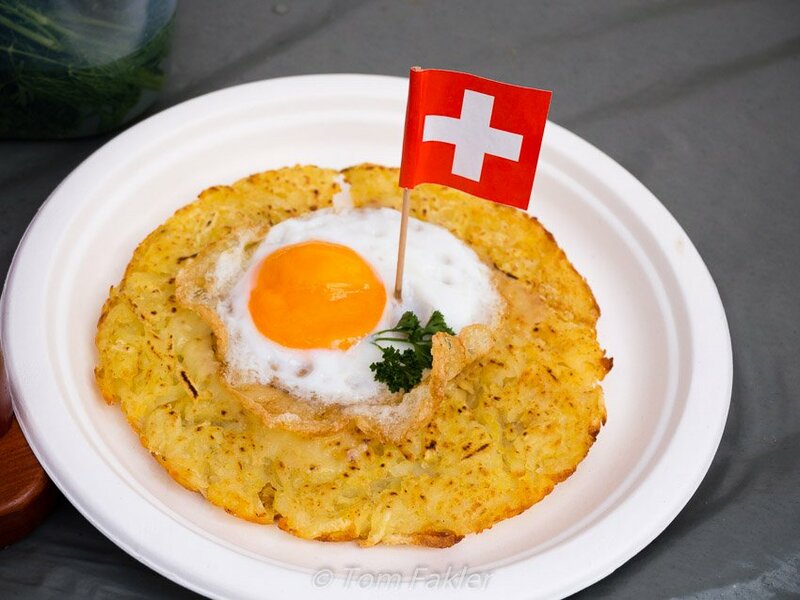 It wouldn’t be a festival in Switzerland without rösti, grilled sausages and raclette. The festival also offered handmade potato chips. 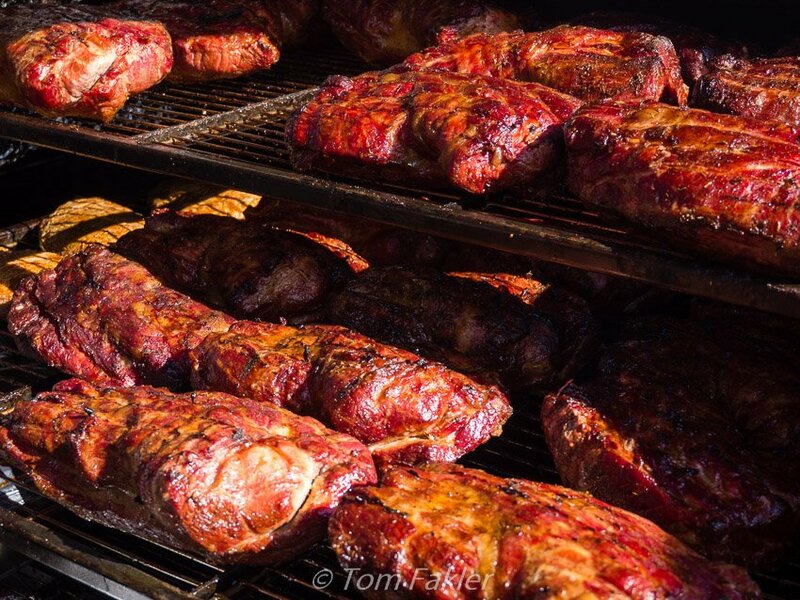 I set my Texas barbecue prejudices aside, and found the meat from BBQ Catering to be right up there. Chef Alex Zehnder’s blueberry-based BBQ sauce was mighty fine, too! 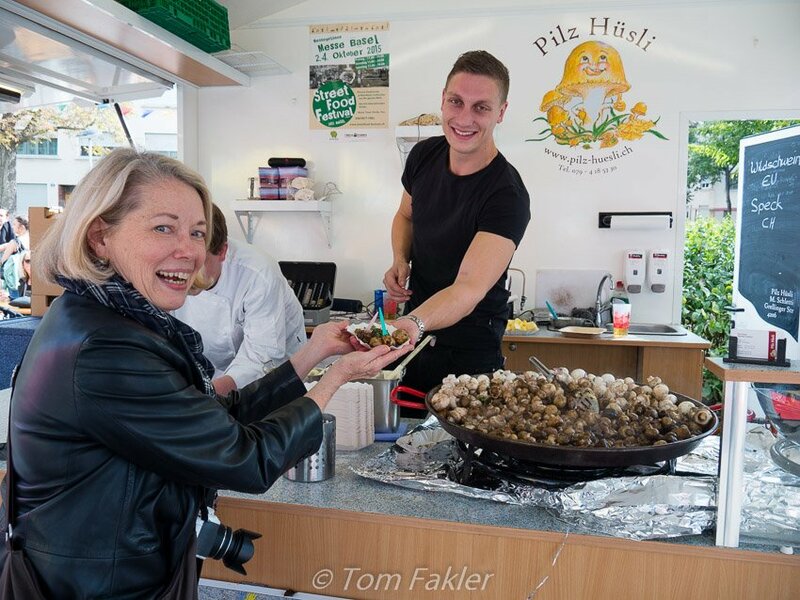 One of the healthiest foods at the festival had to be sautéed mushrooms from Pilz Husli, a favorite Marktplatz vendor. The ‘srooms came with a choice of herb or garlic sauce. There was plenty of wine and beer, as well as a wide range of non-alcoholic beverages on offer at the festival. Bartenders made mojitos, baristas prepared Italian-style coffee. Drinks were paired with foods: Spanish chocolate and churros, Cremant and Tarte Flambé, hibiscus tea and Honduran baleadas. Two especially refreshing options we tried were Pássaro, a wine spritzer, and guarapo Maya, made of pressed sugar cane juice enlivened with orange and lime juice, mint, ginger and chilies. Pássaro, a wine spritzer from a family producer, is characterized by low alcohol content and a fresh grapefruit flavor. 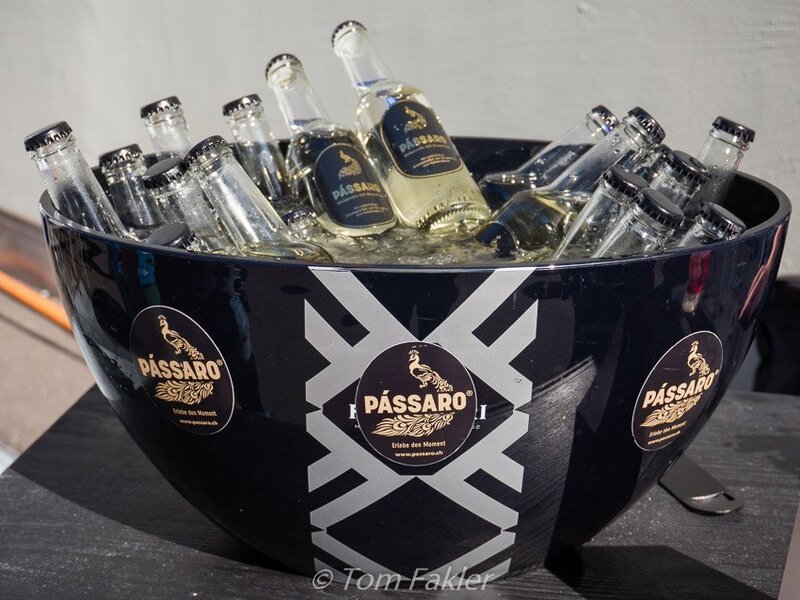 The drink is available only in Switzerland, online or at events, such as food fairs. 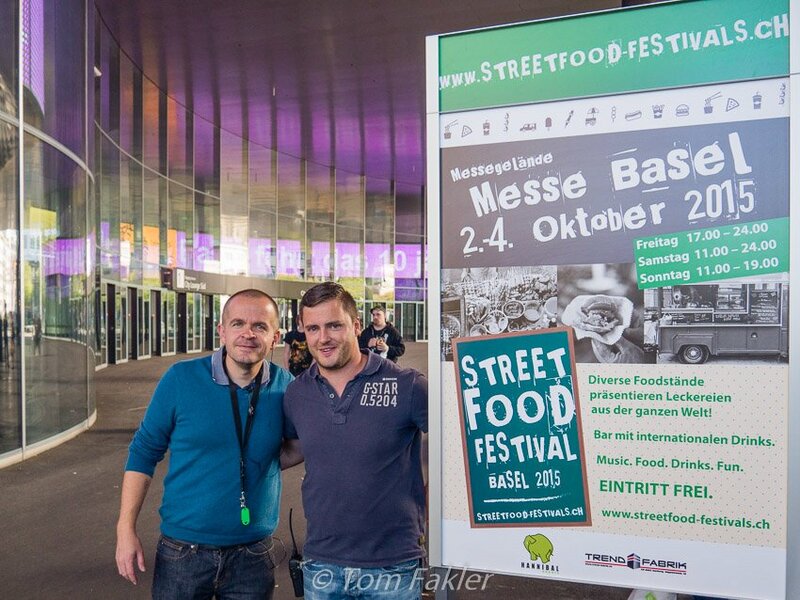 Konrad Begert and Rolf Arnet, organizers of Street Food Festival Basel If the city’s first street food festival is any indication, there is plenty more good eating on the horizon! 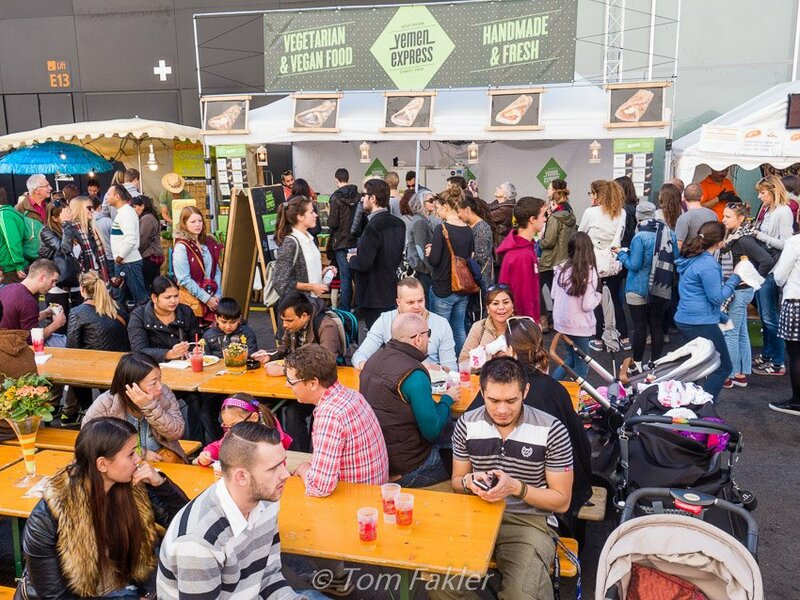 Street food fairs can be prime testing grounds for budding food businesses, and that was certainly the case in Basel last weekend. 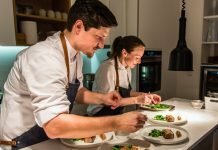 An impressive number of the participants brought their products to Basel, testing the waters for new culinary ventures, from catering to online shops to full-fledged restaurants. Stay tuned for our next post, where we will introduce you to some of the passionate food-makers we met at Street Food Festival Basel! Tex Mex in Switzerland, who knew?! That is hilarious! It looks as if this particular street fair was a huge success given the number of people in your photos. And the apple cinnamon strudel looks SO good! 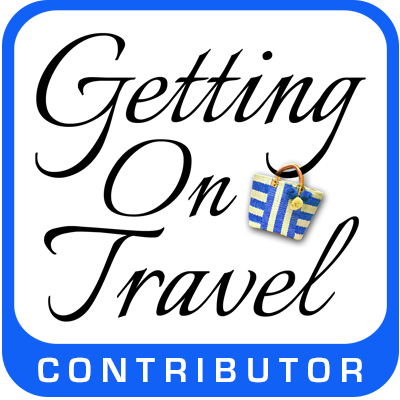 I visited Switzerland nearly 30 years and I think it’s long past the time for a return visit! Switzerland can surprise with the number and diversity of festivals and other events throughout the year…if you do make a return visit, the Swiss Tourism website is a good place to find out about such things! 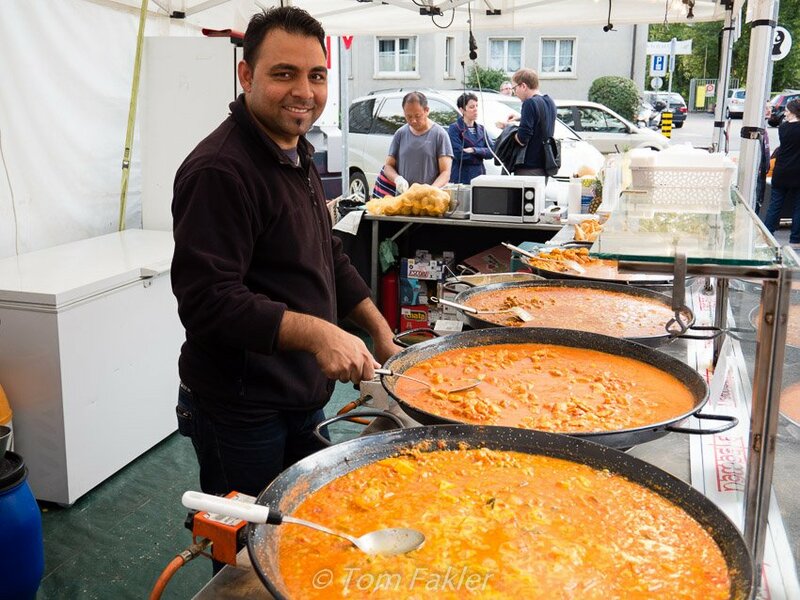 I love the diversity of food at Street Food Festival Basel! Getting small portions so that you can taste (and afford) lots of different food types is right up my alley. It was the small portions that made it possible for us to try so many things, for sure! Wow! That looks like a really tasty Street Food Festival in Basel. I just adored both yours and Tom’s photos. You really did a great job capturing and sharing the experience. Thanks! I love street food and being able to sample this much at once would be like waking up in heaven. Street Food Basel looks like my kind of celebration. It took more than one trip to the festival to sample as much as we did. It was a wonderful way to sample our way through the weekend, Billie! Thanks for your comment Irene. It was great street food…all the fried foods one might expect, but not just. Really yummy!